Chalet de Charme au pied du monde de la zone de ski réputée de "Les Grands Montets à Argentière de - la vallée de Chamonix. Hameau Les Chosalets possède également son propre débutant pente aussi (idéal pour premiers skieurs de temps), et l'accès à Argentiere Ski de fond. Toutes les 2 minutes à pied de la porte d'entrée. salon openplan & diner avec cheminée, bar ouvert à la cuisine. Salle de bains au rez-de-chaussée avec grande douche. Les deux chambres du premier étage. Avec douche de plain-pied dans une salle de bains (situé en bas), WC, lavabo et de stockage. Super séjour dans la neige !! Nous avons passé un très bon séjour dans ce joli petit chalet très chaleureux et confortable. Love this little chalet. The only drawback was that it was a bit close to the road, but its proximity to grand montets lifts and Argentiere town is great. The chalet was perfect for us. Its was comfortable, warm and clean. A grrat retreat after a day on the slopes. The beds were very comfortable ! As for the location it was great for our needs. We felt in the middle of everything. With short journeys to both chamonix and le tour. Also the lift to grand montets was only a few mins away on foot and also a great nursery slope located around the back of the property. We had a great holiday and stay at Chalet Mable. One of our sons did return home with a broken collar bone however the medics in the village were outstanding with the level of care they gave. On a more relaxed note the fu-bar in the village was great ! Such a lovely cosy chalet! We had the best time at Chalet Mabel, it was such a cosy space that was perfect for relaxing in after a day skiing. Norma was also extremely helpful and responsive, I would highly recommend it! 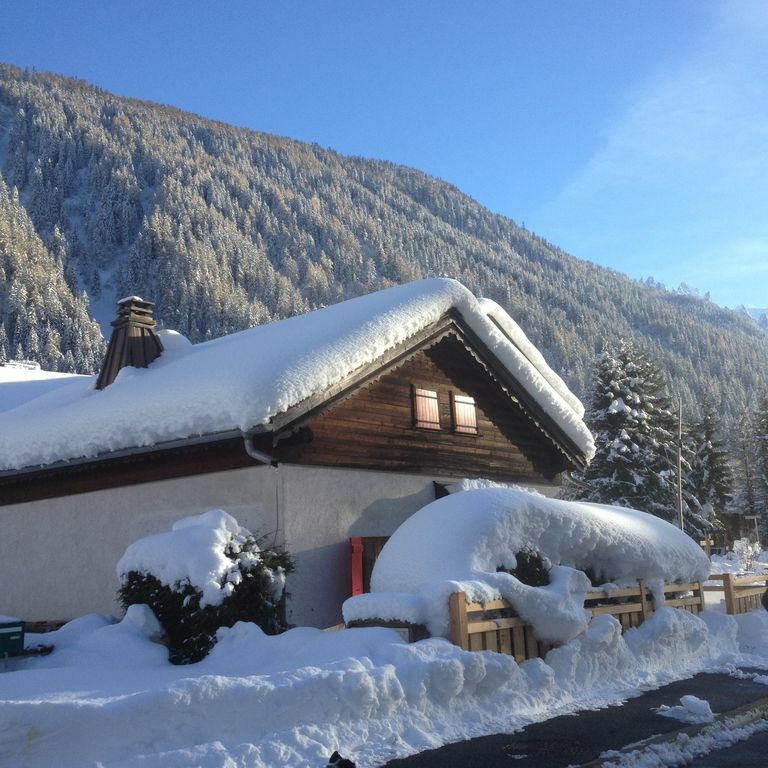 We enjoyed our 2 weeks in Chalet Mabel - the chalet was very charming and comfortable and well equipped for a 2 week stay. It's location is perfect for the Chamonix area, or for spending time at the quieter end of the valley - the valleys between France and Switzerland are particularly beautiful. I would certainly recommend it. We had a brilliant stay at Chalet Mabel - it is in a wonderful location for the slopes, was spotlessly clean and well equipped, and gave ample room for our party of three. We will definitely return! Genève aéroport le plus proche - environ 1 h de route. Location de voiture recommandé, cependant beaucoup de navettes Chamonix disponible Porte-à-porte de Genève. 1 km / 5 minutes à pied du centre-ville d'Argentière avec un grand choix de bars et restaurants, des services de ski, supermarchés, banques, magasins locaux. 7 km / 10 minutes en voiture / bus pour le centre-ville de Chamonix avec de nombreux équipements pour les non-skieurs. Centre ville de Chamonix a des activités étendues pour l'après-ski / non-skieurs, aiguille de téléphérique de midi avec vue sur le Mont-Blanc, grotte de glace, train monorail vers le glacier, marché du samedi, centre de loisirs avec patinoire, piscines, sauna, salle de gym etc. L'accès aux hôtels avec spa, des expositions d'art, musée local ... etc. Beaucoup de beau pays se promène Chalet Mabel. Accès direct à Les Petits Balcons (nord et sud) monter et descendre la vallée. Belles cascades à découvrir un jet de pierre. Booking Notes: Please e-mail/ phone me, cheque / bank transfer of 50% deposit (non-refundable) to hold booking, full payment required 30 days prior to arrival. Bookings only taken starting on Saturdays during the winter season. Changeover Day: Prefered changeover day is saturday, although this is flexible. Notes on prices: Prices shown are for one week only. 20% discount on additional weeks. Last minute offers available upon request.